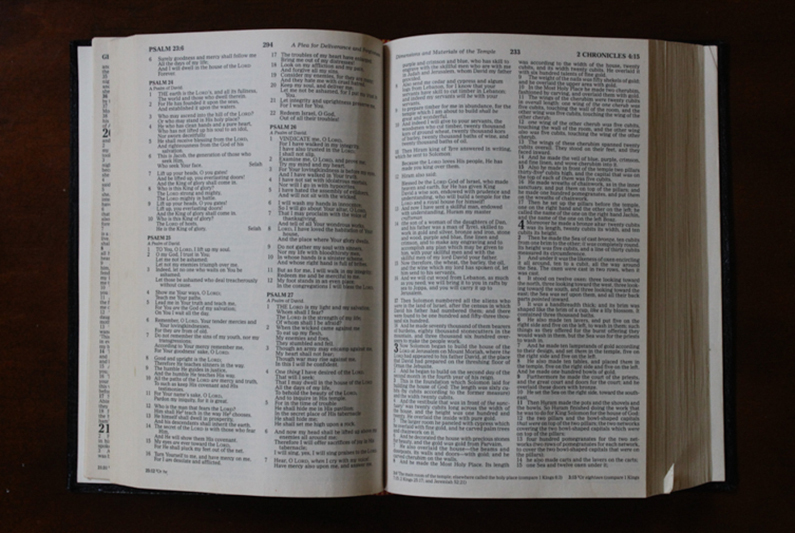 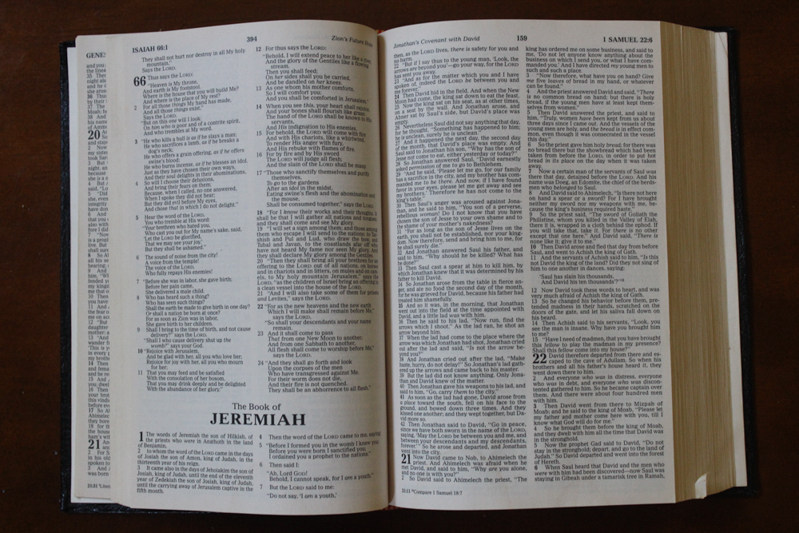 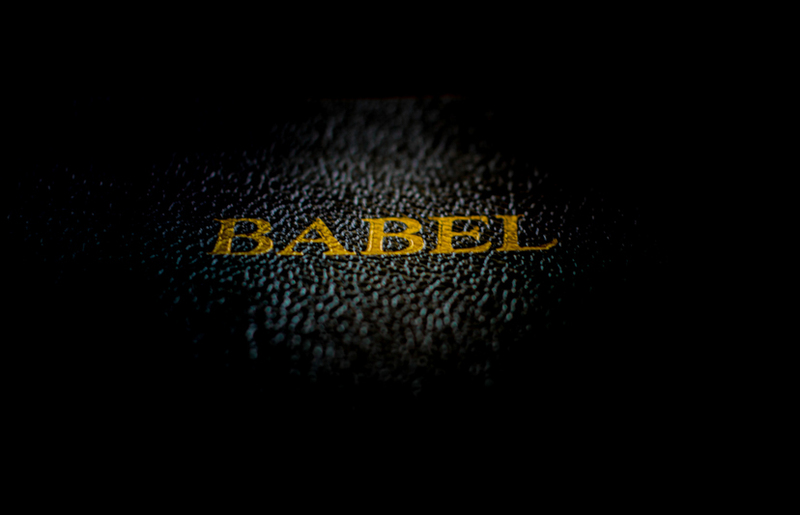 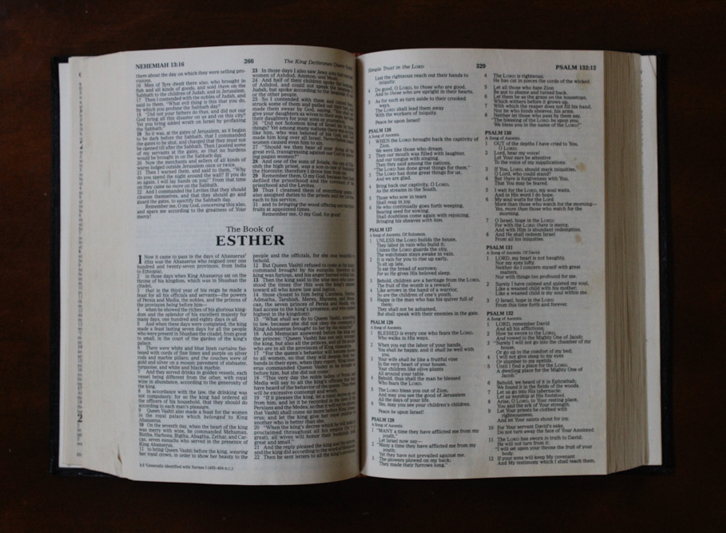 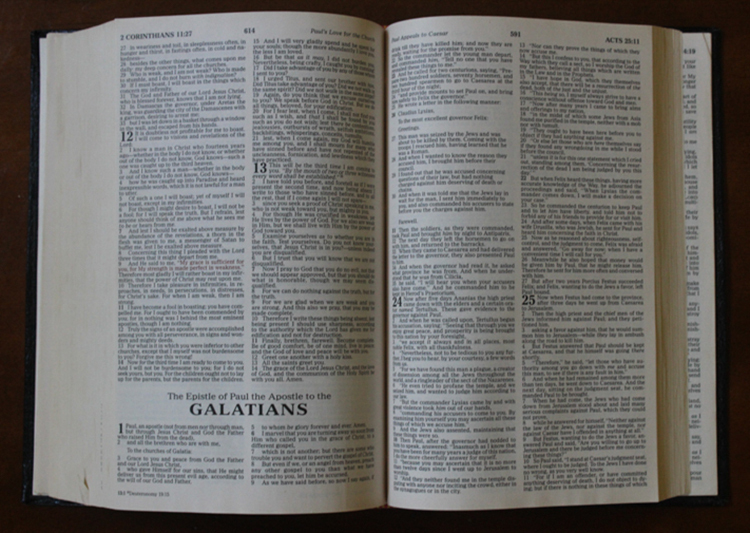 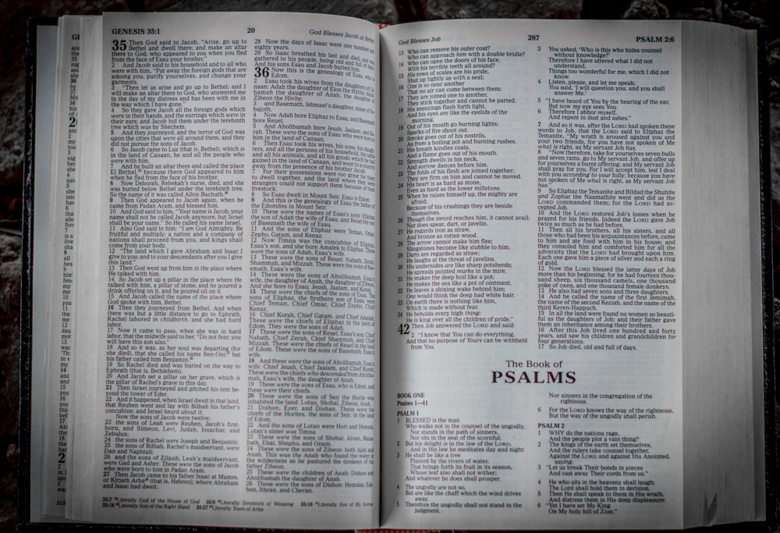 In Babel the pages of the King James Version Bible are completely re-arranged and rebound to disrupt the biblical narrative (to the point of incomprehensibility) to play with the power of language and meaning and to tackle issues of difference. 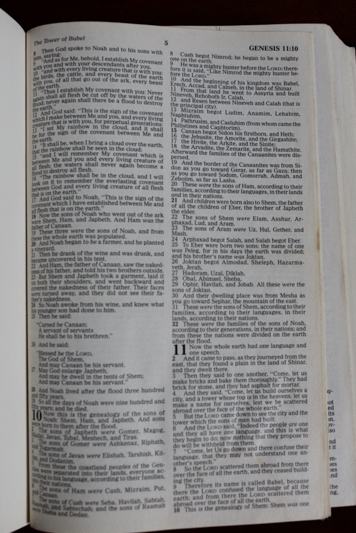 I replace the first page of Genesis with chapter 11 of the same book that introduces the story of the Tower of Babel. 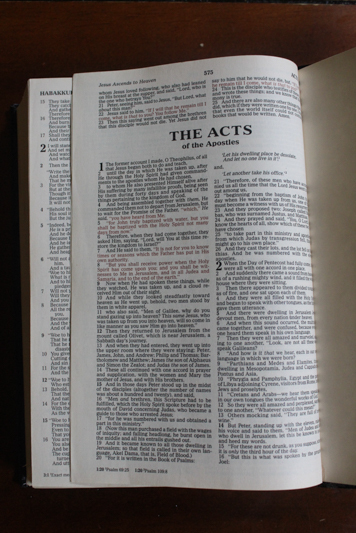 I also replace the last page of Revelations with the story of the day of Pentecost in the book of Acts in which the apostles speak in tongues. 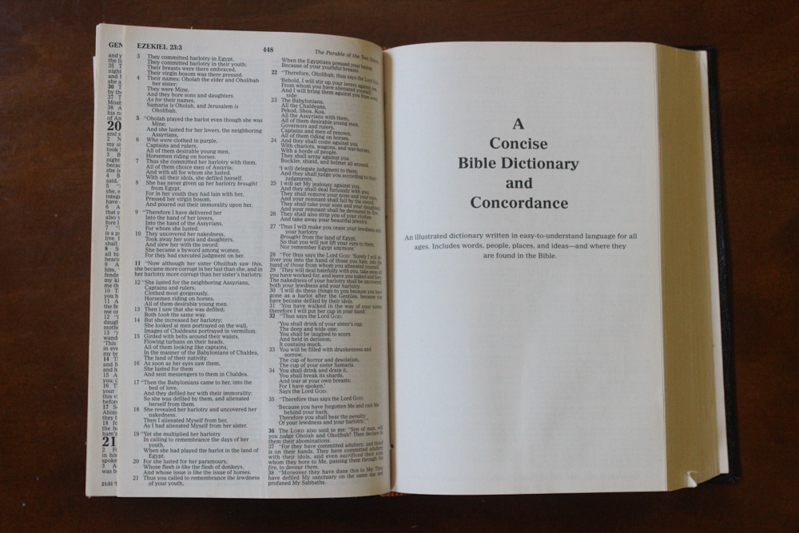 The new “Post-Modern” bible starts with the total confusion of language at the Tower of Babel where each person speaks in an alien tongue which results in a total breakdown of communication and "ends" with the Day of the Pentecost where each speaks in a strange tongue but which others can understand. 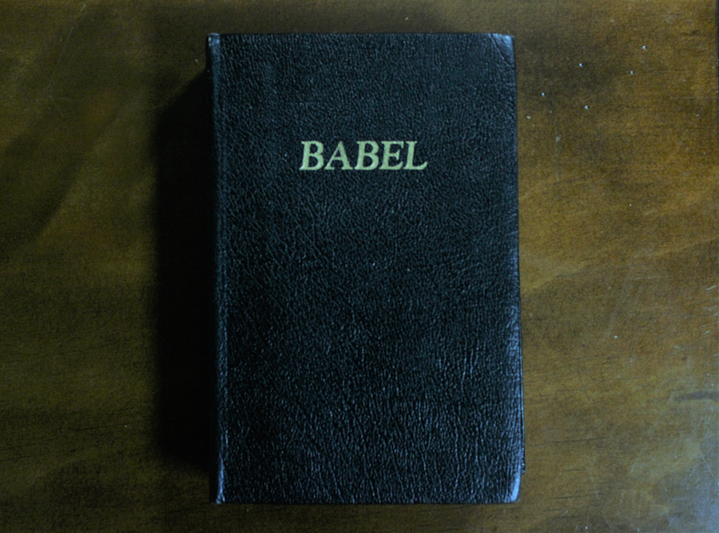 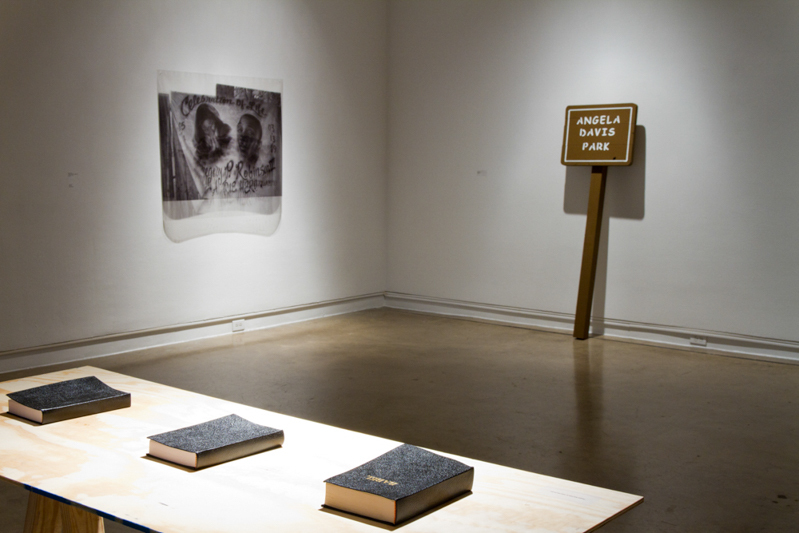 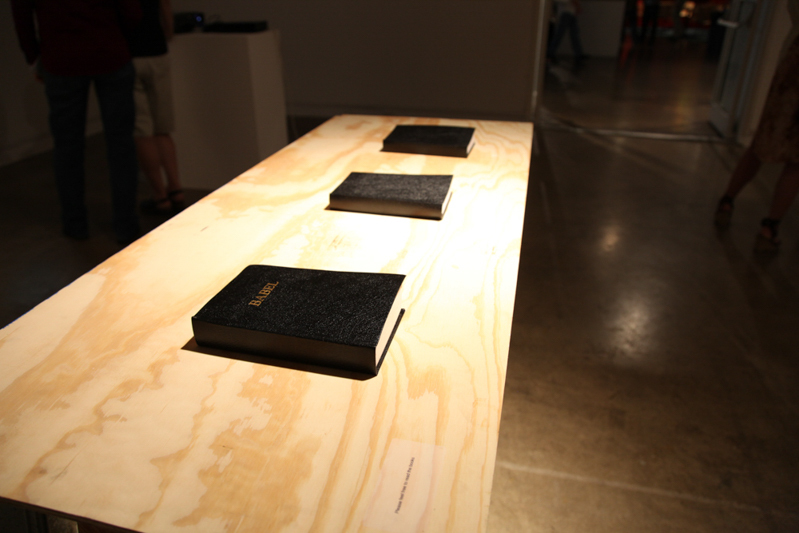 Language, Meaning and Difference are therefore disarticulated and rearticulated through a biblical Dadaist poem that plays with the words Bible, Babel, and Babble.